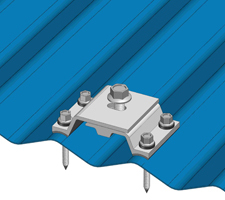 Magerack provides solar mounting solutions for standing seam metal roof, corrugated metal and R-panel trapezoidal metal roof. 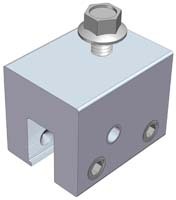 MageClamp is standing seam clamp that can be attached to standing seam metal roof. 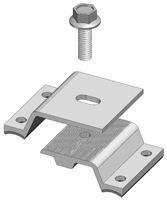 MageBracket R is adjustable mounting bracket for various shaped R-panel trapezoidal metal roofs. 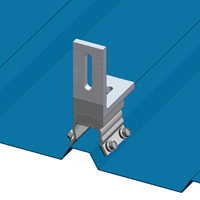 MageBracket CH and CL are similar adjustable mounting brackets for corrugated metal roof. 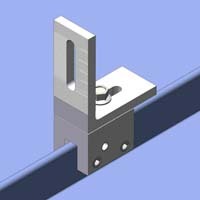 MageClamp and MageBrackets are compatible with Magerack rails and also rails from other manufacturers. 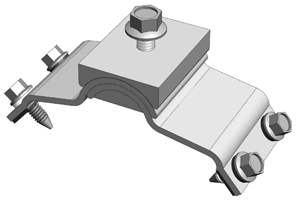 MageBracket R is adjustable roof attachment for solar installation on R-panel trapezoidal metal roof. 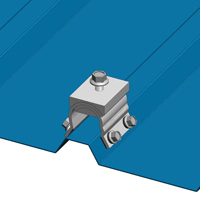 The angles of the brackets can rotate to fit various R-panel trapezoidal metal roofs with different profiles, so it can fit most of the R-panel trapezoidal metal roofs with rib top width of 1-1/2" or less. 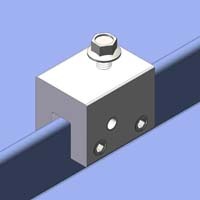 MageBracket R comes with either L bracket (part # 401-302) that has lateral and vertical adjustment capability, or 5/16 stainless steel hex tap screw only (part # 401-301). 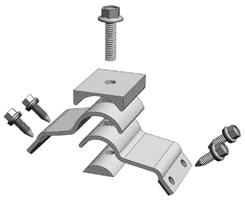 All MageBracket R comes with four 1/4" stainless steel self-tapping screws with EPDM sealing washers. 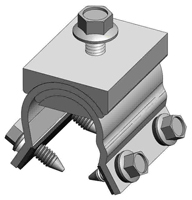 Adjustable roof attachment solution for various R-panel trapezoidal metal roofs of different profiles. 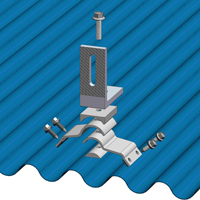 MageBracket CH is adjustable roof attachment for solar installation on corrugated metal roof. 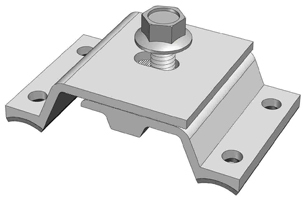 The angles of the brackets can rotate to fit various corrugated metal roofs with different profile and panel height, so it can fit most of the corrugated metal roofs of panel height of 3/4" and higher. It comes with four self-tapping screws. 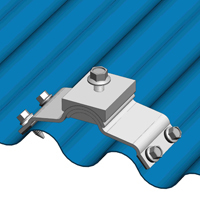 MageBracket CL is adjustable roof attachment for solar installation on corrugated metal roof. 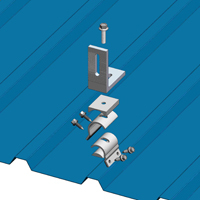 The width of the brackets can be adjusted to fit various corrugated metal roofs with different profile and panel height, so it can fit most of the corrugated metal roofs of any panel height. It does not include self-tapping screws. 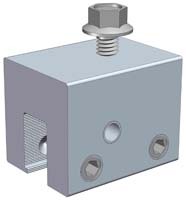 MageBracket CH and CL come with either L bracket (part # 401-502 or 401-504) that has lateral and vertical adjustment capability, or 5/16 stainless steel hex tap screw only (part # 401-501 or 401-503). 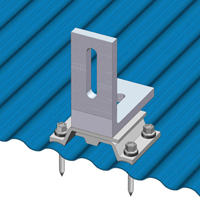 Adjustable roof attachment solution for various corrugated metal roofs of different profiles. Two sizes to fit various corrugated metal roofs of different panel heights. 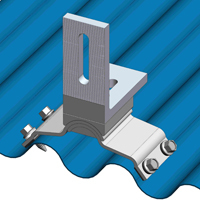 MageClamp is roof attachment for solar installation on standing seam metal roof. 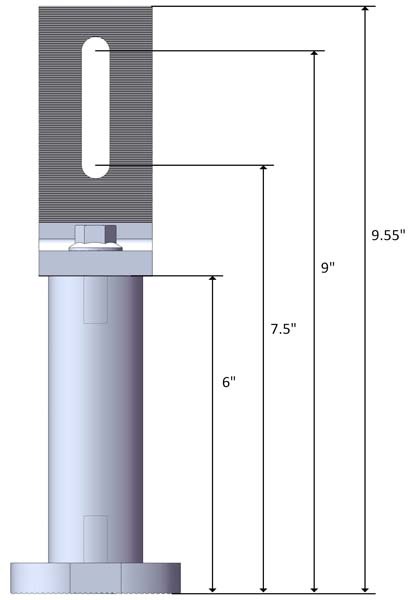 MageClamp comes with either L bracket (part # 401-102) that has lateral and vertical adjustment capability, or 5/16 stainless steel hex tap screw only (part # 401-101). 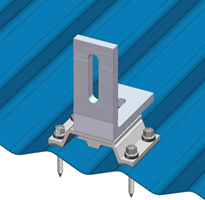 Strong roof attachment solution for standing seam metal roofs.